TROX RUS is the supplier of complex system decision in the sphere of ventilation and air conditioning. TROX RUS LLC is a subsidiary of TROX Group, leading in the development, manufacture and sale of components, devices and systems for the ventilation and air conditioning of rooms. Innovative system decisions of German perfect quality and advanced technologies are ideal for both large and small projects in HVAC especially in industrial and commercial construction. TROX components and systems are integrated in office buildings, laboratories, production plants, sport centers, hotels, museums, airports, railway stations, tunnels and sea crafts. During 10 years of successful activity on the Russian market, TROX RUS realized a considerable amount of projects in different cities and climate zones of Russia. Since that, sales geography expanded far away and now it includes republics of Euro-Asiatic Economic Union: Armenia, Belarus, Kazakhstan and Kirgizstan. 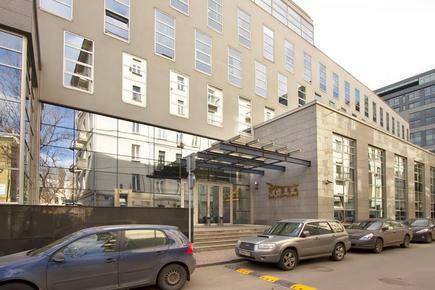 Nowadays TROX products and components are used in many Russian buildings as well as Skolkovo Innovation Centre, Moscow City Complex of buildings, Moskva Hotel, Krylatskiy Hills Business Park, De Luxe Ritz Carlton Hotel, IKEA and MEGA malls in St-Petersburg, Europeiskiy Shopping and Leisure Centre, METRO hypermarkets, building of Moscow Court of Arbitrazh and many others. At TROX RUS we are always ready to supply our customers both hi-tech and high-quality products and components and to provide technical assistance on every project stage. Company pays special attention to experience level of employees. Technical specialists attend refresh courses on regularly basis that is why our customers can always receive information about TROX cutting-edge solutions and innovations. We do our best to find solution for our customers so that they can get the most of TROX products and systems.